Mezzo-soprano Rachael Colman is quickly establishing herself as a sought-after soloist and chamber artist. Her flexible voice and sensitive musicality have earned her roster positions with nationally-recognized ensembles including the GRAMMY®-nominated True Concord Voices & Orchestra, the Santa Fe Desert Chorale, the Handel & Haydn Society, and the Spire Chamber Ensemble. Her performances have taken her to Alice Tully Hall at Lincoln Center, Symphony Hall in Boston, Helzburg Hall and the historic Folly Theater in Kansas City, and the Meyerson Symphony Center in Dallas. Rachael is best known for her passionate performances of the works of Purcell, Bach, Handel, Mozart, and Rossini. She has been a featured soloist in Bach’s St. John Passion and Purcell’s Dido & Aeneas, both in collaboration with the Kansas City Baroque Consortium and the University of Missouri-Kansas City Conservatory Singers. She is a frequent guest of the Trinity Chamber Artists in Kansas City, with whom she sings as a soloist in their Bach Cantata Series, and has been a performer of choice in the Bach’s Lunch series at UMKC. Equally at home on the operatic stage, her roles include Angelina (La Cenerentola), Nancy (Albert Herring), Meg (Little Women), the Baker’s Wife (Into the Woods), Zita (Gianni Schicchi), Prince Charming (Cendrillon), and Cherubino (Le nozze di Figaro), among others. Rachael has performed regional and world premieres of more than twenty new works. 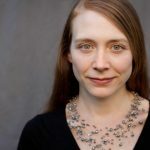 She is an original member of the new group Chorosynthesis in Seattle, WA, at whose inaugural concert she sang as primary soloist for Lansing McLoskey’s Zealot Canticle, a West Coast premiere. She debuted Derek M. Jenkin’s complete song cycle Nach Raum und Zeit as part of the Musica Nova series at UMKC, and has participated in workshops with Steve Reich (performances of Music for Mallet Instruments, Voices, and Organ) and John Corigliano (performances of Fern Hill and scenes from The Ghosts of Versailles). An advocate for improvisational vocal music as well, during her study at the OperaWorks program in Los Angeles she created the role of Soap Opera Diva B.B. Worthington in an original, completely improvised three-act opera, Pride & Promiscuity. Rachael has lent her voice to a special recording project, Teach Me Your Way: Selections from a Year of Psalms. The project covered forty-one original psalm settings by Christopher Bartlette as written specifically for St. Matthew Lutheran Church in Waco, TX.